It’s always in your best interest to consume more in the morning whether you’re in middle of exercising routine or simply just need power for the whole day. 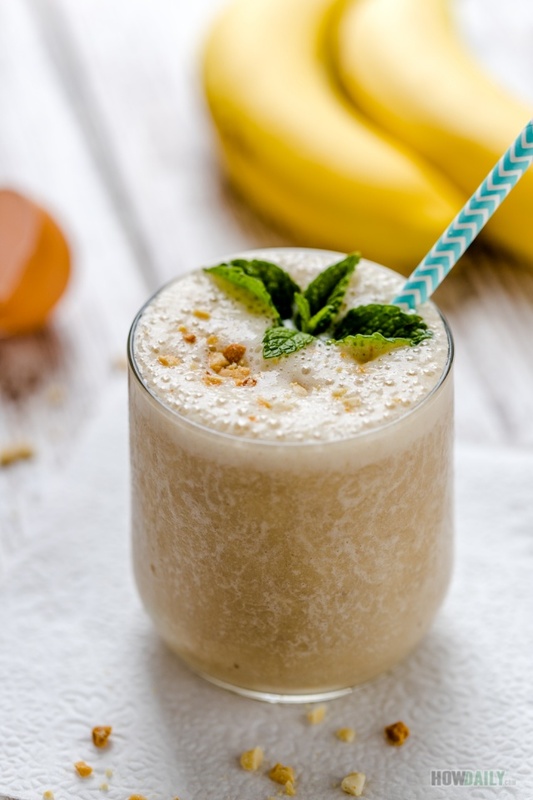 This super protein breakfast smoothie combines the two most powerful ingredients: egg yolk and banana to create both the flavors and over-powering protein. It will surely enough to recharge your day ahead. Salt grains are there just to make the drink taste sweeter than it actually is, thus reduce the need for additional sugar. Though most ripen banana should suffice enough sweet, you can add more honey if need. Almond milk is there to provide the creamy feeling without the need for homogeneous cow milk. I would add a bit of biscuit or crushed peanut to make it more tasty, however, you could replace for supplement powder if need. 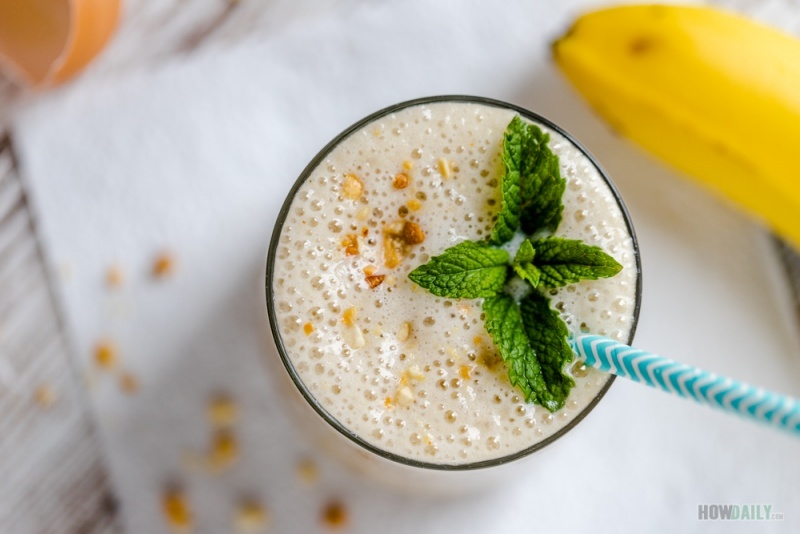 Another secret: this recipe designed with whip egg yolk and honey, both are believed to enhance men fertility through increasing sperm production. So, make a glass extra for your honey. 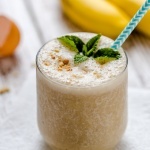 This is a super protein pack smoothie that perfectly fit for morning dose, pre- workout routine drink. It works even better on those who need to build muscle or heavy protein base diet. Carefully separate the egg yolk, make sure all egg white, eye and gel stuff are all removed. Cut your banana to small pieces or use frozen. Add egg yolk and 1 Tbsp honey to your blender, blend for 30 seconds or more until fluffy (depend on your blender speed). Add banana, salt and ½ cup almond milk. Blend them good. Add extra almond milk or crushed ice if you want it thinner, otherwise, serve with some crushed & crumble biscuit sprinkled on top.